1. Zahua seems to be missing a line of dialogue during his introduction as seen here. 2. 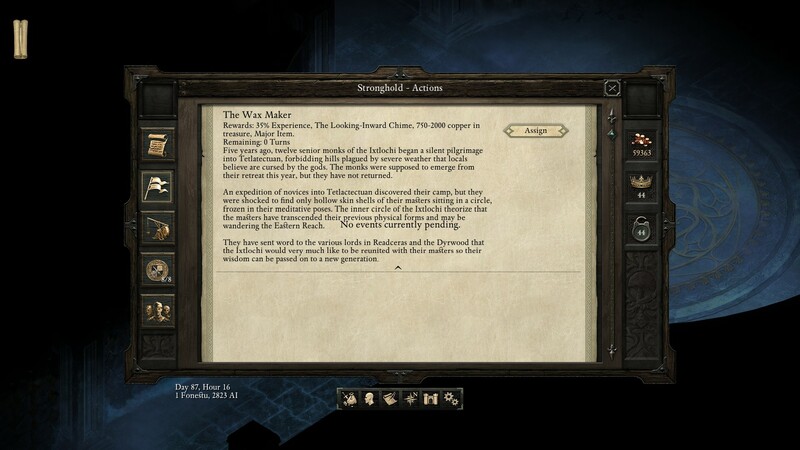 "The Wax Maker" Stronghold adventure seems to display the text for a different adventure and "No events currently pending" probably shouldn't display while an event is currently pending. Thanks for clarifying that for me. Turns out we already fixed both of these issues and will be in the next patch! Welcome to the forums and thanks for joining us! 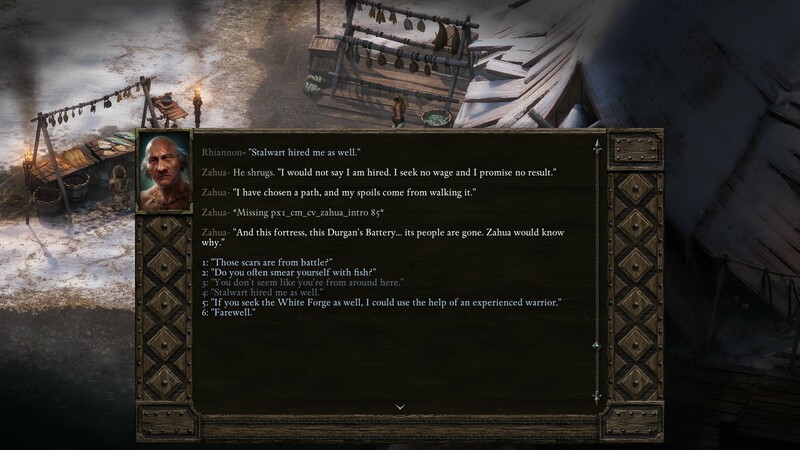 I went to recruit Zahua, and I was not missing any lines of dialogue. Do you know what dialogue path you went through to come up with the missing strings? I'll investigate the issue with stronghold adventures more closely. Here is the immediate context of the missing line. 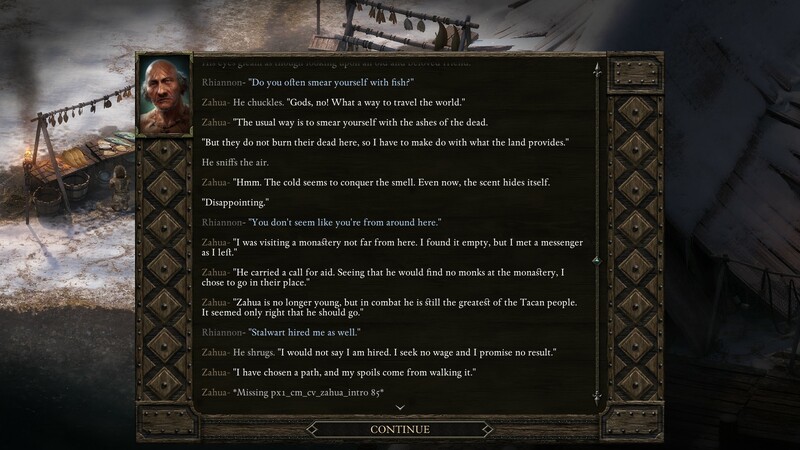 The conversation continues as normal afterward and I was able to recruit him without any noticeable issues.